Thank God for Twitter. 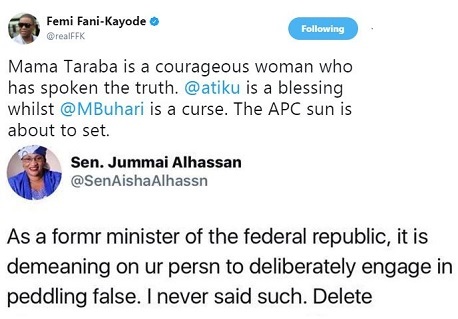 Hehehe so FFK tried to make use of the opportunity that the Minister of Women Affairs says she will support Atiku Abubakar for 2019 because of her own personal reasons. He went on to twitter to 'praise' her, talking as if he supports her bla bla, but mama was smart too.